Updated on Nov 17, 2017 at 12:00 PM: After about two hours of play, rain gods have once again decided to disrupt play on Day 2 of the first test match between India and Sri Lanka. While the lunch break is going on at present, it looks like the break is going to be an extended one as these showers are heavy at the moment. 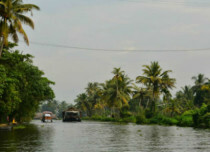 As per weathermen at Skymet Weather, things look quite gloomy today as well as rains will continue throughout the day. There will be breaks from these rains in between but interruption in the form of rain will continue throughout the day. 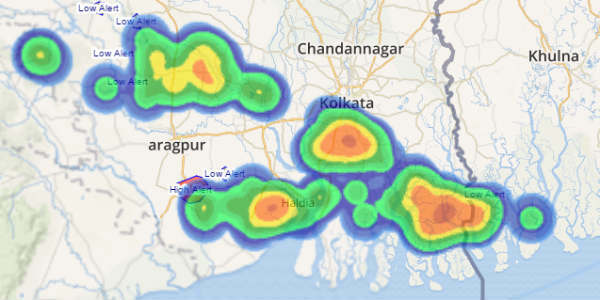 Updated at 1:00 PM: The rainfall activity in Kolkata has taken a break after which the toss finally took place. The covers are off and the game will begin at 1:30 pm. For now, Sri Lanka have won the toss and have opted to bowl first. Updated on Nov 16, 2017: Rain in Kolkata has begun to wreak havoc over and the City of Joy has been transformed into a gloomy one with overcast sky conditions. So much so that the city has recorded moderate spells of rain during the last 24 hours. The worst part is that the first match being played between India and Sri Lanka has been delayed. The game was scheduled to begin at 09:30 am. However, the city has been receiving rains since early in the morning which is why until now, the toss continues to be delayed. Not only this, due to the ongoing rainfall activity, the chances of a good game today are quite bleak. As per weathermen at Skymet Weather, the city will continue receiving on and off rains throughout the day. As far as November 17 is concerned, rains will also make an appearance tomorrow which is why the possibility of a full game tomorrow are also very hazy. Published on Nov 15, 2017: The Indian Cricket Team has been playing non-stop for the past few months. However, that has not affected their performance at all and back to back victories have been giving the Men in Blue all the motivation that they need. In fact, the last series battle with the Kiwis have only left their confidence growing sky high. Now, India is all set to play another series. This time, the team is a familiar one as India has already played a full-fledged series on their soil. 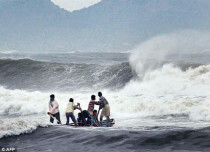 This time it is Sri Lanka’s turn to pay a visit to the Indian soil and test the waters. The last time both these teams met was a nightmare for the Sri Lankans as out of ten games played, India had won 9, and the one which the Men in Blue did not win was a draw. The interesting part here is that the last time these Islanders played red ball cricket in India was in the year 2009 when Tendulkar, Dravid and Laxman were still standing on the green field and doing wonders with their bat. 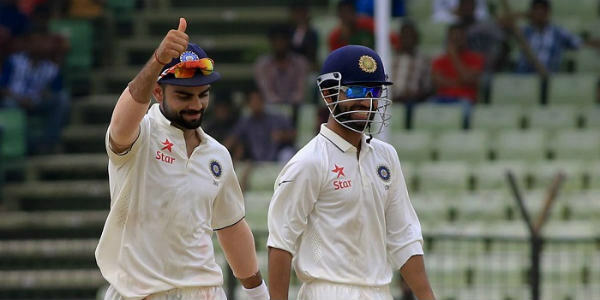 Virat Kohli was still a newbie and MS Dhoni was the captain cool during the last IND vs SL under whose captaincy India had was on the top of the test cricket rankings for the very first time. India vs Sri Lanka, this time will consist of 3 Test matches, 3 ODIs and 2 T20s. The test series is all set to begin tomorrow and Virat Kohli and company are as ready as they could be. The first test match is scheduled to be played at the iconic Eden Gardens in Kolkata at 09:30 am. However, all’s not well in paradise and rain gods may cause enough hindrance to the game. 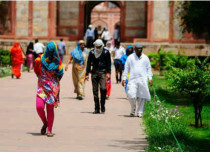 Kolkata is expected to witness rains during the next 24 hours in view of a well-marked low pressure area which is persisting in the Bay of Bengal. The weather system may weaken into a low pressure area by tomorrow but it will move closer to Kolkata. Thus, rains are in cards for the city of Kolkata tomorrow as well. 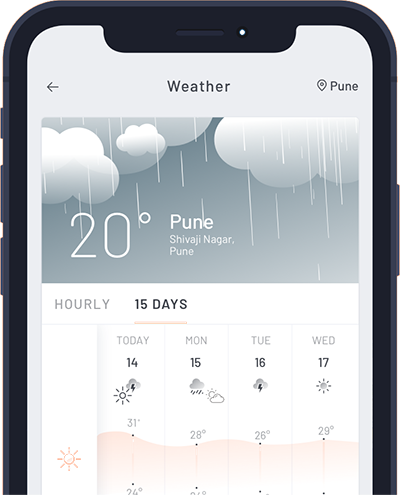 Not only this, some rainfall is also expected to occur on November 17 as well, which happens to be the second day of the match. There may be some relief on the third, fourth and fifth day of the game. 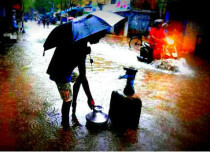 However, the possibility of isolated rainfall cannot be ruled our over Kolkata during these days as well. We will have to wait and watch how these rains affect the match and what shape do the results take after rains spoil the party.